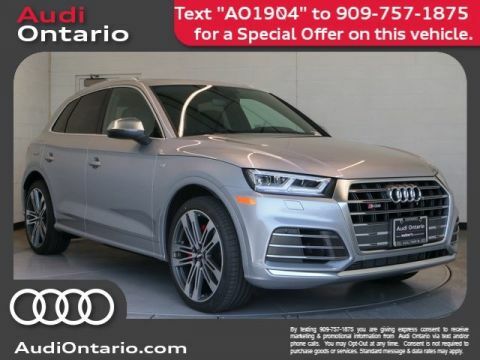 The Audi SQ5 is engineered with legendary quattro(R) all-wheel drive and a powerful 3.0-liter TFSI(R) V6 engine that puts out 349 hp and 369 lb-ft of torque. 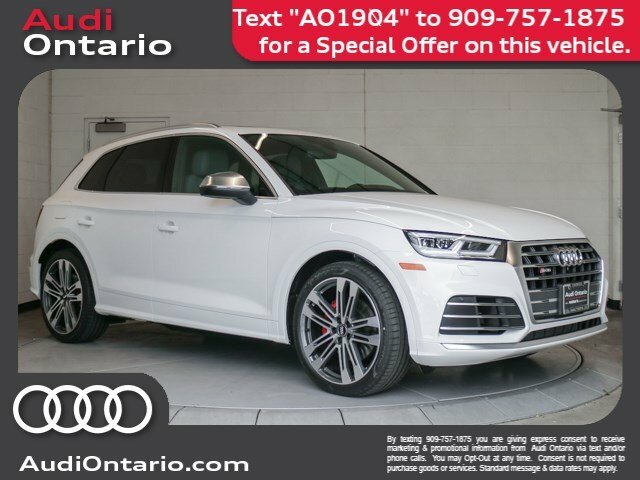 Paired with an eight-speed Tiptronic(R) automatic transmission that features remarkably fast and smooth shifting, the Audi SQ5 delivers a dynamic driving experience. Legendary quattro(R) all-wheel drive comes standard on the Audi SQ5. An available quattro(R) sport rear differential offers an even more dynamic driving experience. 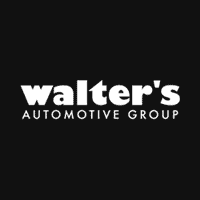 For example, when accelerating or turning into a corner, it can direct the majority of the torque to the outside wheel, helping to propel the vehicle out of the curves. Audi drive select makes it possible to pre-select up to six driver selectable modes. The result: performance you can modify to help tailor your Audi SQ5 to suit your driving style. Available dynamic steering offers a variable ratio that adjusts according to vehicle speeds and Audi drive select mode. By changing the steering ratio, dynamic steering can help improve straight-line stability at highway speeds and improve steering precision through the corners. The lightweight suspension of the Audi SQ5 is an all-around MVP, offering a ride that is more comfortable, more agile and engaging. Available Audi S adaptive air suspension puts you in control of a variety of different suspension and damping options. To up the ante on the performance of the SQ5, the available S Sport package includes Sport-tuned adaptive air suspension that can adjust suspension damping and ride height. 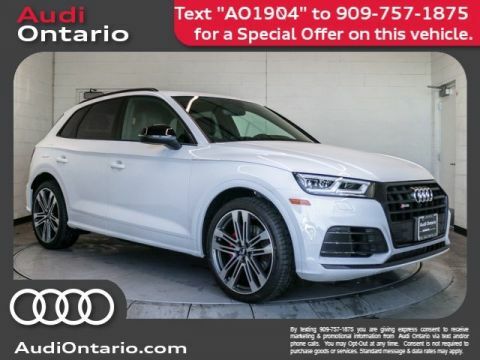 Additionally, the quattro(R) sport rear differential can help make the most out of every corner and sporty red brake calipers top off the potent performance credibility. The 2019 SQ5 takes the athletic, wave design shoulder line and adds sporty design features including a Platinum Gray Singleframe(R) grille, S model roof spoiler and sculpted, three-dimensional full LED headlights. Taken together, it creates a revamped and refined design profile that's ready for adventure. The sportier look and feel of the SQ5 design is stitched into the very fabric of the interior, from a three-spoke multifunction flat-bottom sport steering wheel to available Fine Nappa leather front sport seats that will invigorate drivers and impress riders at every turn. Versatile cargo space with generous 53.1 cu-ft capacity with the 40/20/40 rear seatbacks folded down offers increased spaciousness. The available Audi virtual cockpit is a fully digital 12.3-inch information display offering customizable information such as navigation, phone and Google Earth? imagery. Choose from classic, infotainment or sport mode, which features a large, central tachometer, turbo boost gauge, lap timer and other performance stats. It's time for the information age to really shed light. Audi smartphone interface enables access to Apple CarPlay(R) and Google? Android Auto? integration, providing access to and integration of your compatible smartphone's features, such as navigation and select third-party apps. It can be controlled through the MMI(R) interface, the voice control system or steering wheel controls. In the case of an impending collision, Audi pre sense(R) basic can intervene to prepare the vehicle for impact. This process includes beginning to close the side windows and sunroof and pretensioning the front safety belts. Audi pre sense(R) city can help detect cornering and stationary vehicles and pedestrians at speeds of up to 52 mph, warn the driver of an imminent collision, initiate emergency braking and can even help stop the vehicle under 25 mph. 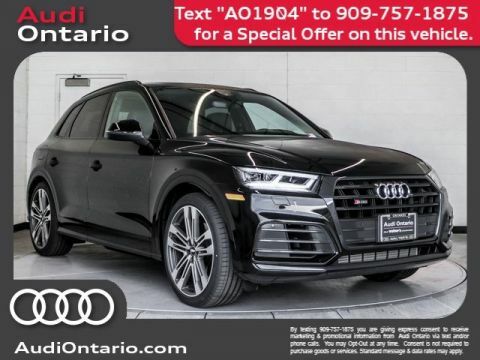 Meet your new 2019 Audi SQ5 at Audi Ontario located at 2272 E. Inland Empire Blvd., Ontario, CA 91764.